Sarah and Ben, Philadelphia residents return to the campus where they first met as undergrads. Here is a look at their July wedding at the Johns Hopkins Club. The first look: Each couple I work with has their vision for the wedding day. In our planning consultation we explored how to best set up the first look. Homewood Museum would serve as a great stage for our couple's first look. Our couple take a private moment to rehearse their vows before the ceremony. 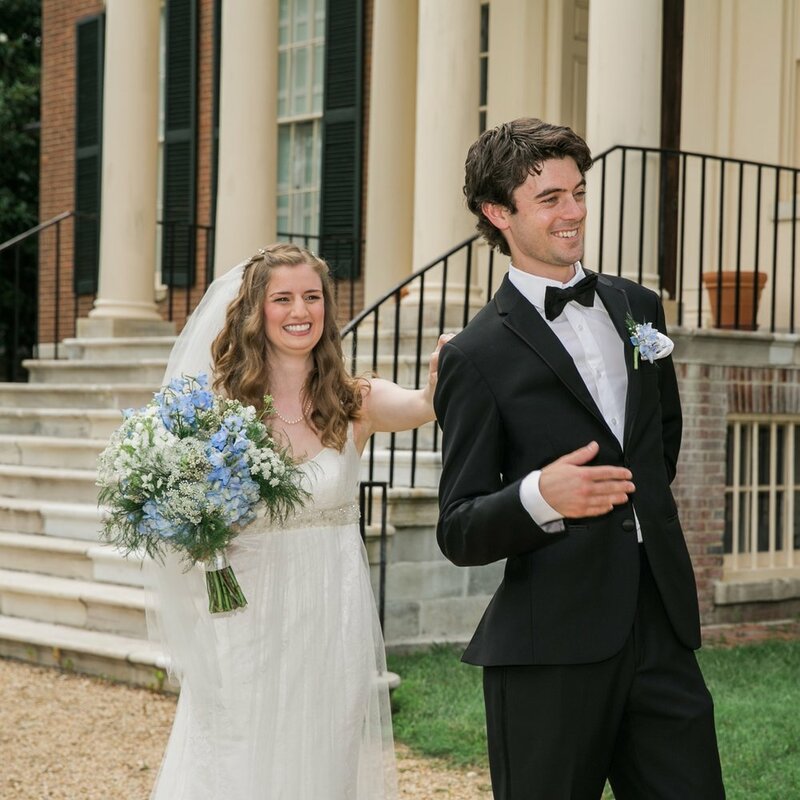 Homewood serves as a wonderful background for wedding day portraits and it role in our wedding is quite appropriate, Homewood Estate was offered as a wedding gift in 1800 by Charles Carroll to his son. One element that goes a long way to the style of the wedding day is the flowers. Sarah's bouquet above has just the right tone to pop in a cool complementary color to her complexion. Sarah loved working with Flowers and Fancies! The ceremony was held inside within the main dining room, it was July in Baltimore after all. The Club's staff made the set up look fantastic! DJ Leni K of Classic Collective DJs kept the tempo up and festive!